1. How do gender issues fit into illicit financial flows? ​Illicit financial flows further social, gender, spatial inequities and inequalities. Many of the factors that exacerbate IFFs, such as overeliance on natural resource extraction​ and the work of many multi-national corporations further environmental degradation and often workers in such industries operate in low-paying, unsafe and insecure working conditions with rampant human rights violations – which disproportionately affect women. It is estimated that 40-50% of workers in the mining industry (particularly in small-scale and artisinal) are women who are not receiving living wages, don’t have a right to unionise, don’t have access to benefits or social protection mechanisms. A sitting Head of State in Africa in one of the regional economic bloc meetings once made an argument for the ongoing investments in his country; his government was primarily focused on improving economic growth by investing in the ‘productive sectors’ whilst would deal with maternal and child health care issues thereafter. A disgruntled participant in the same meeting interjected and posed the following question to the Head of State. 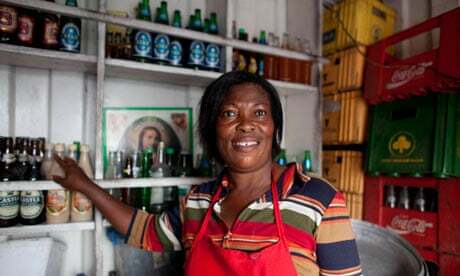 In a bustling market square in Accra Ghana stands Marta Luttgrodt’s store, a modest structure where she sells alcoholic beverages sourced from Accra Breweries which is a few kilometers away. Marta like many of us today represents the backbone of Africa and is a candid example of the opportunities and challenges facing the continent’s success narrative. Entrepreneurship and innovation are today well known key drivers for increased wealth and growth in society. These drivers in order to be efficient and effective require the support of strong pillars such as political institutions which encapsulate democracy and good governance whereby citizens can exercise their voice and governments alike are accountable and responsive to their needs; economic institutions which include finance institutions that enable entrepreneurs and innovators to gain access to capital to actualize their innovations; strong intellectual property rights and strengthened labour markets . These pillars are critical to the growth story of Africa because only an inclusive political, economic and social system will see the continent progress collectively. So what does this even mean and how is it related to Marta? Let me begin by explaining a phrase that’s often verbalized in Kenya which has in fact become a nugget for comic relief. “Naomba Serikali” (I am asking/begging the Government) this is where Kenyans across the spectrum plead with the government to provide jobs for them, their daily subsidies, basic services such as security etc. Nonetheless as valid as it may be, Kenyans have pushed it a notch further by asking for the most absurd requests. On a serious note however, the Kenyan government is mandated to provide basic services but it like all other governments cannot be the ‘source of employment’ i.e. creating jobs in the public sector to absorb new university graduates entering the job market. It can within its mandate create an enabling environment through the pillars I highlighted above which ensures that the likes of Marta have flourishing businesses further increasing job and wealth creation. 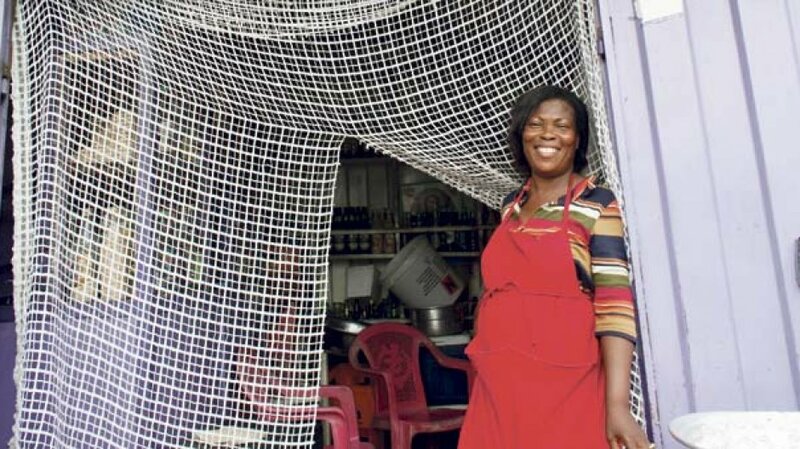 Marta like many entrepreneurs in Africa earns a decent income $400 and pays her taxes in the hopes that the government will meet its end of the bargain by delivering quality public services. To highlight just a few; a good education for her children, health, security, good infrastructure to expand her business etc. The worthwhile thing to note is most governments actually do envision delivering these services but for obvious reasons fall short of doing so. Public institutions muddled by corruption ensure that taxes collected from Marta never see the light of day. Majority of the budget deficits stem from poor domestic resource mobilization which can be attributed to poor tax legislation and lack of capacity in comprehensive tax revenue collection. It is for these reasons that we see governments in Africa depend extensively on foreign aid which we have painstakingly come to learn over the years as being unsustainable; this is not new news. What is most appalling to note however is that Marta, a budding entrepreneur in Accra Ghana pays more in taxes than Accra Breweries a subsidiary of SAB Miller, the world’s second largest beer company which operates just a few kilometers away from her. Action Aid conducted a report on SAB Miller which elucidates how multinationals such as SAB Miller owe poorer countries billions in tax.The flip side of the argument is that SAB Miller is a major direct investor, employer and taxpayer in Africa and the multinational is making substantial economic contributions to the continent. 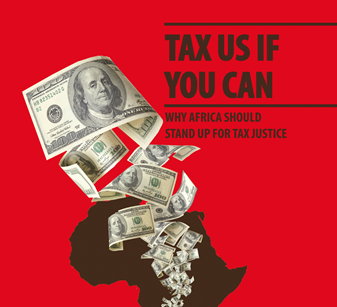 Borrowing from the report on Illicit Financial Flows in Africa, Africa loses approximately $50 to $148 billion annually in revenue from tax evasion most commonly through tax mispricing. The report further informs that between 1970 and 2008, Africa lost $854 billion to $1.8 trillion in illicit financial flows and revealed that commercial money such as tax evasion and trade and services mispricing through multinational companies, constitutes the largest component followed by proceeds from criminal activities and public sector corruption. Here’s a 3 minute video that explains tax mispricing. You and I are reflections of Marta, we all have areas in which we have specialized in hoping to improve our wellbeing and that of others. To contextualize this even further, let me give an example of Nigeria today. More babies will be born in Nigeria this year than in the whole of Western Europe. So if one is in the nappy business where else would you be looking to expand your business? Idealistically, to conduct business in Nigeria one will require sufficient amounts of capital; an environment that enables ease of business-minimum amount of hours/ zero levels of corruption to open the enterprise-; a robust energy sector for your industries which would allow you to work round the clock without any interruption; and a strong infrastructural network that ensures sufficient access to markets to deliver these nappies. According to the World Bank, the cost deficit in mitigating the infrastructural gap in Africa today stands at $75 Billion; an estimated $38 billion of investment per year and a further US$37 billion per year in operations and maintenance. Revert to the figures given on the sums of money that Africa is losing annually. So the questions I wish to pose for reflection are: Africa currently gives the second best returns globally in investments, is it really rising when these very multinationals that are projected to contribute to Africa’s growth narrative are undermining our progress? How then can we make this work for us? How do we secure the rights of the Marta’s in this continent?